All month long I've been blogging over at Babble.com's Family Kitchen, sharing some spooky-fun vegan recipes for October. 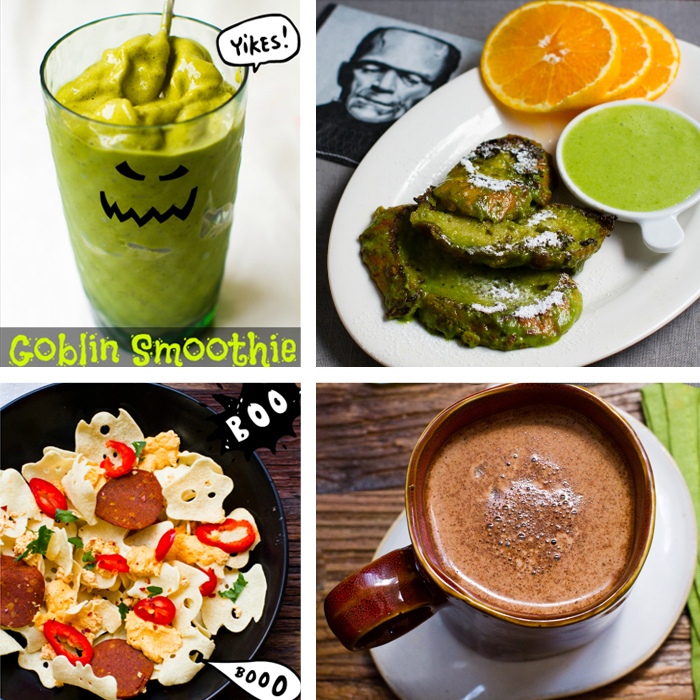 How does a Goblin Smoothie, Banana Zombie French Toast and Spooky Pizza Nachos sound? And for your post-trick-or-treating warm-up, grab a steamy mug of my Dark Chocolate Maple Cocoa. Check out all these vegan recipes and more in my October round-up!.. Here is my Spooky-Infused October Round-up from my posts over at Babble.com's Family Kitchen. * Spooky Pizza Nachos with melty vegan cheese and vegan pepperonis! * Goblin Smoothie with banana flavors and green accents from either matcha, avocado or spinach. * Dark Chocolate Maple Cocoa as warm and cozy as it sounds! * No-Bake Coconut Pumpkin Pie. For coconut-lovers! * Fall Squash Roast with sage and citrus flavors. * Chocolate Banana Brain Boost Shake for kids (and adults!) Get your vegan omega-3 fatty acids. * Nutrition: Is Pumpkin the Healthiest "Orange" Fall Food? * 9 Halloween Treats from ForkAndBeans.com - I love these creative Halloween recipes!! * 8 Delicious Ways to Use a Grilled Banana - sweet and healthy bananas get grilled! * 10 Spooky Vegan Recipes for October - spooky-delicious treats and fun. * 16 Vegan Slow Cooker Recipes - from bloggers all over the web! Perfect for fall cooking. Also check out all the spooky-fun recipes popping up on my other site FindingVegan.com! 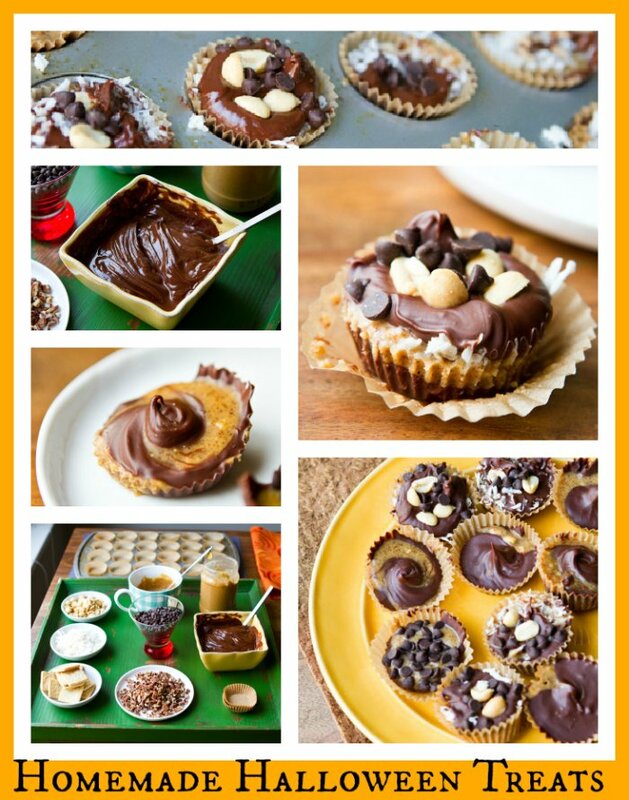 And of course you can make your own vegan Halloween treats this month!..